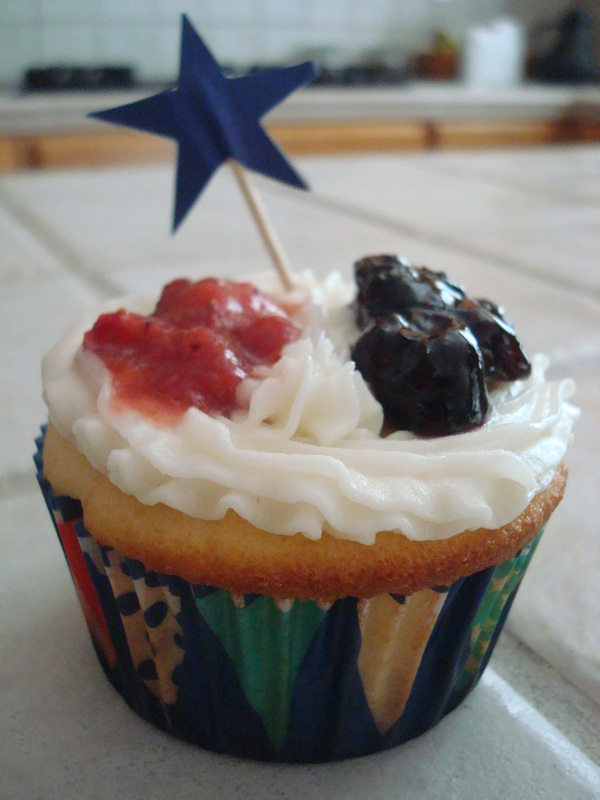 Berries | Cupcake Villains Strike Again! These cupcakes were made for a friend’s wedding shower. 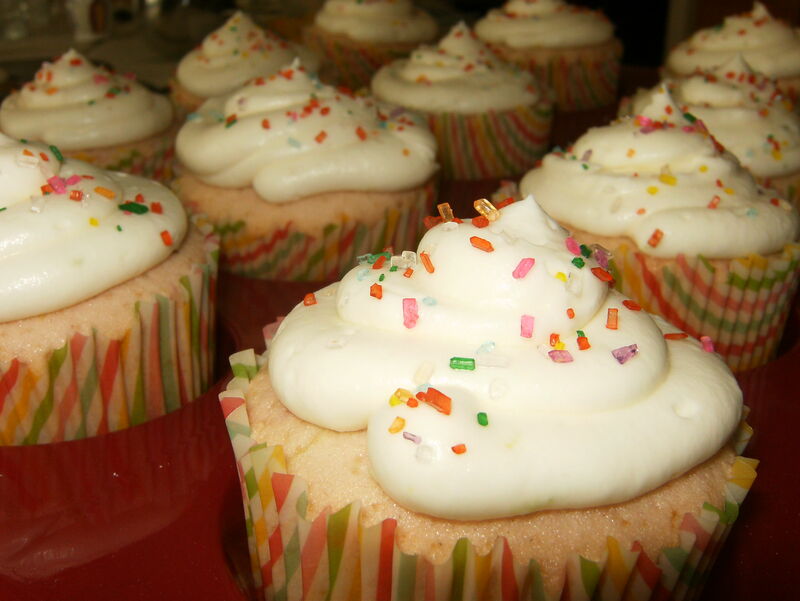 I do have to admit that I’m still having problems with the density of my cupcakes when I put alcohol in them. 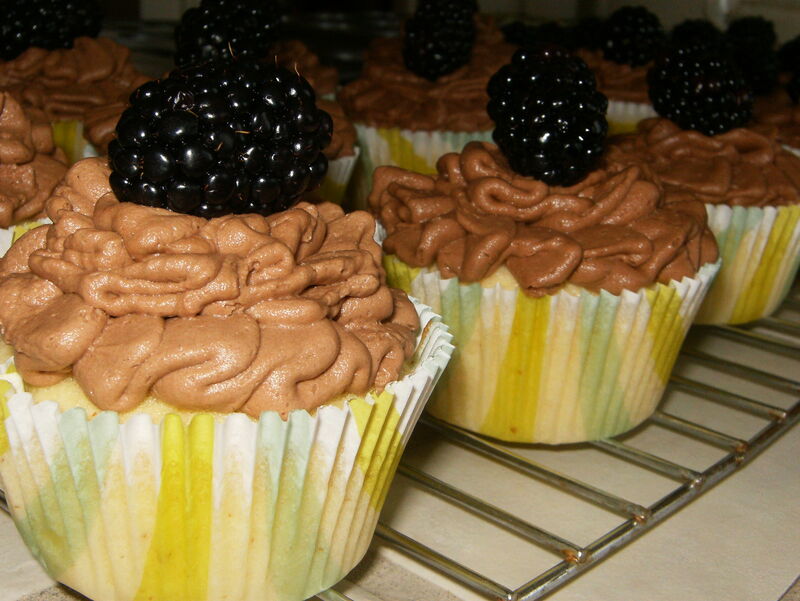 These were delicious and fresh, but were a little dense and muffin-like. 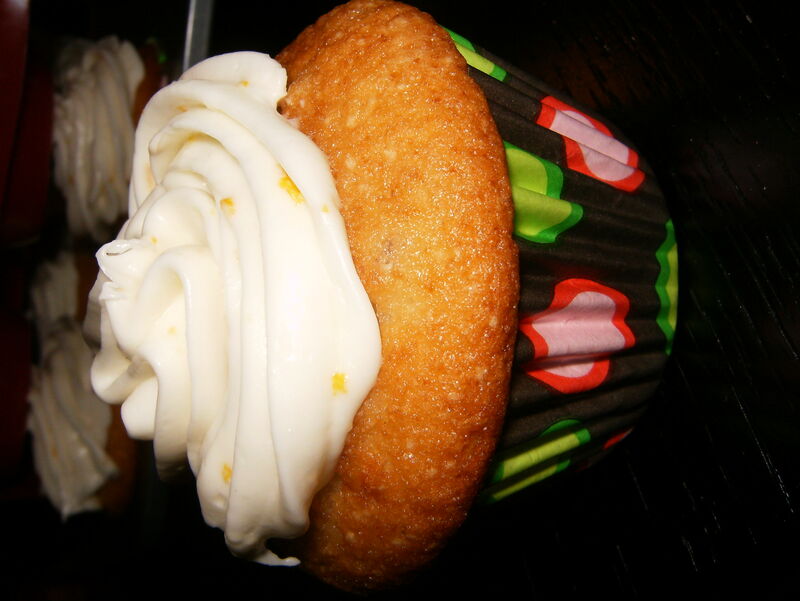 The lime really shone through, and you can taste the rum in the frosting. If you prefer a stronger rum flavor, add more rum in the frosting, but be sure to counteract it with powdered sugar so your proportions don’t get off! Happy 4th of July! 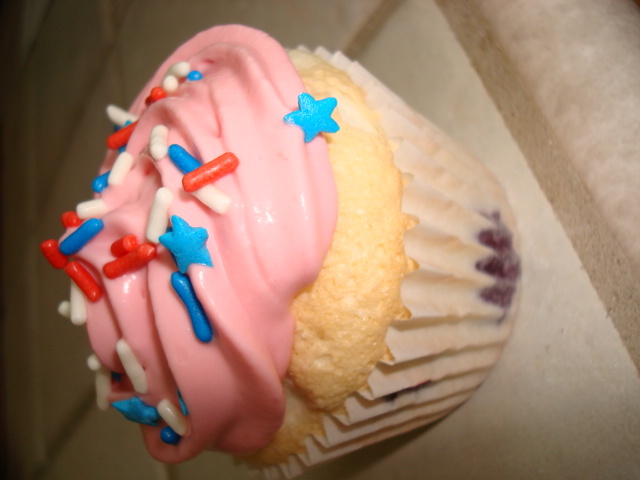 These cupcakes were inspired by the simple Red, White, and Blue that we will see everywhere today! 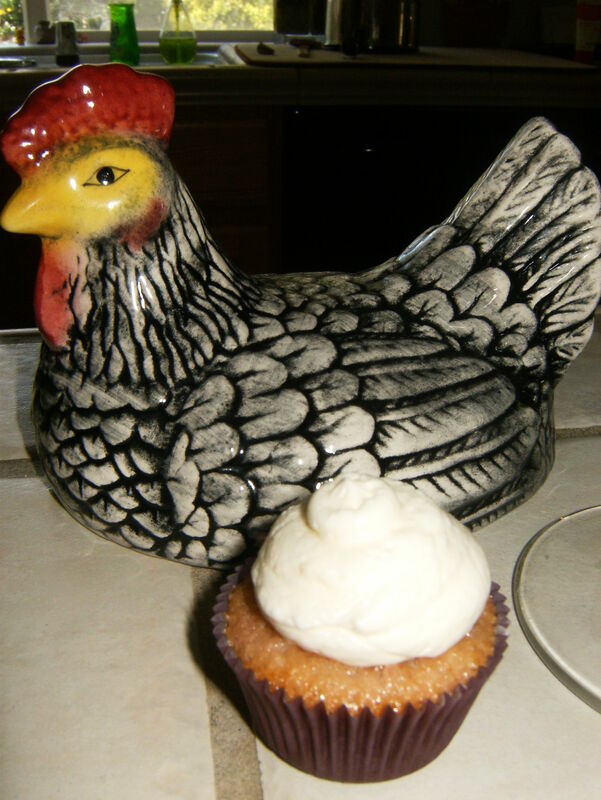 I’ve always enjoyed angel food cake with fresh blueberries, so I decided to put them in the cupcake this time. The frosting combined the raspberry puree I used for the Raspberry Lemonade Cupcakes and the fluffiness of the whipped cream frosting from my Mexican Hot Chocolate Cupcakes. This time, however, I was sure to make a reduction of the raspberry puree over the stove so that it was thick enough not to mess with the texture of the frosting! For Easter with my family, we originally planned on having a picnic. My brother would make fried chicken, my mom would whip up my grandma’s macaroni salad, we’d have a jello mold, the whole deal. Well, the weather did not cooperate. However, we still made picnic food and ate at home! I’ve been wanting to make raspberry lemonade cupcakes for a while, and what better time than for a picnic-themed Easter celebration! 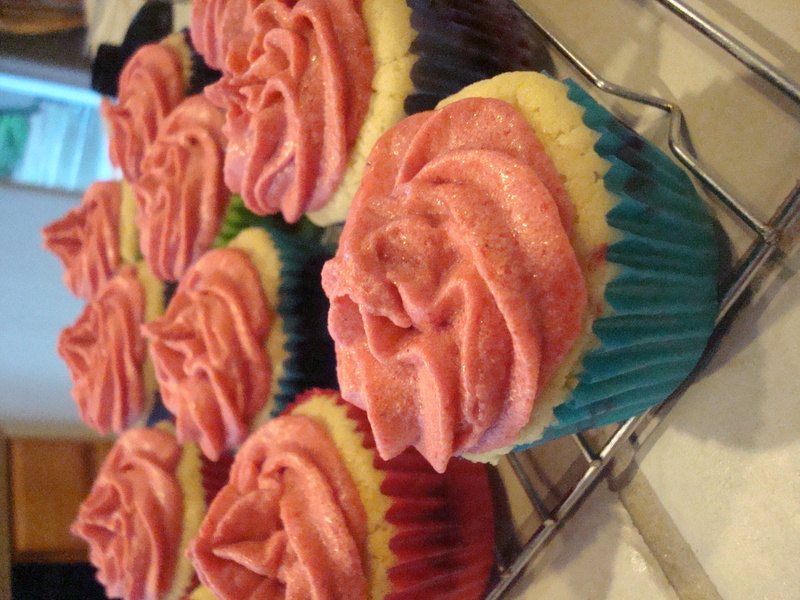 I used lovely spring-colored liners and planned to use food dye to brighten up the frosting, but it didn’t need it – the raspberries did their job.